When Yogi Berra said “The future ain’t what it used to be” he could have been talking about backuprather than baseball. Despite enormous progress in backup technologies over the last decade, the“secondary” technology of backup as a whole has barely kept up when compared to the incredible gains in the “primary” technologies associated with computer and storage platforms. The fact is that backup vendors as a whole have failed to make enough progress in delivering increasing fundamental value to customers. 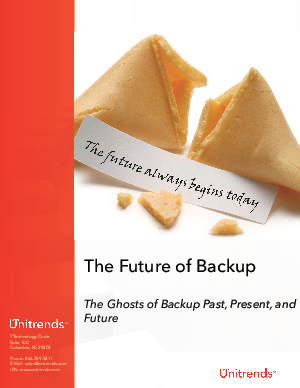 This white paper discusses the fundamental challenges associated with backup, the past and present state of the business continuity and disaster recovery industry andtechnologies, and explores several data protection future scenarios.